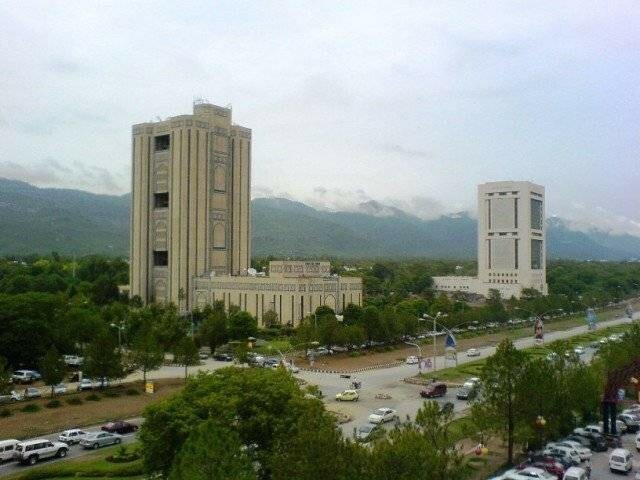 ISLAMABAD: Even as a boost in the country’s economy in recent years meant that a flurry of stores opened up across the country sporting the latest fashion coupled with the greater availability of disposable income meant that most people would not think twice about having their torn shirt or trousers mended. But others, who are not so financially well off, often maintain a select wardrobe by constantly patching their torn clothes. 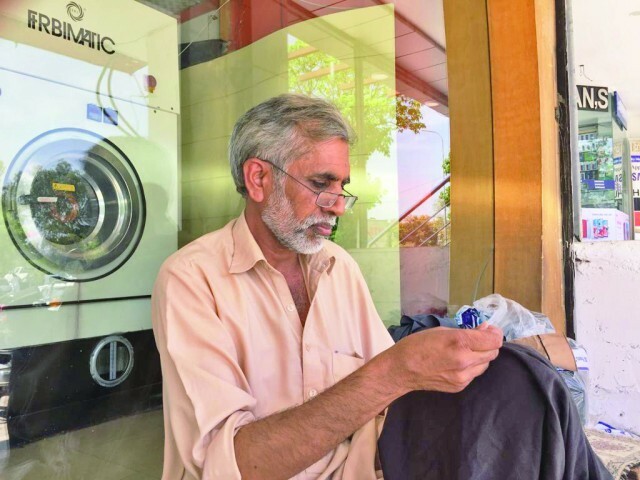 One darner, in particular, has been mending clothes of Islamabad’s residents for years and claims to have even patched clothes belonging to some famous politicians. Nisar Ahmed, a master darner — locally known as a raffugar, sits outside a laundry in the densely populated Aabpara market of Islamabad. “I have been learning and mending clothes since I was six-years-old,” Ahmed says, adding that he learnt the skill from his father. He added that his father used to sit at a stall outside a famous laundry shop in Rawalpindi. But after he passed, Ahmed said that he set up his stall outside a laundry shop near Aabpara in Islamabad some 30 years ago. During this time, Ahmed said that he has darned different types of clothes and apparels of people from all walks of life including those belonging to senior government officials, doctors and even politicians. “I have had the privilege to darn clothes of Prime Minister Imran Khan and former power and defence minister Khawaja Asif,” he beams, disclosing that politicians and other senior government officials do not bargain with him over rates but are demanding in terms of the quality of the work. Responding to a question, Ahmed said that darning was a skill akin to painting or making handicrafts to ensure that a patch merges seamlessly into the apparel by not making itself apparent while effectively covering the tear. Sitting a mere stone’s throw from the Presidency where every year dozens of people are handed national awards, Ahmed aspired that one day, skilled workers in his profession too are conferred with national awards and that society recognizes the crucial service they provide. Highlighting the cons of this skill, he said that darning impact’s one’s eyesight and fingers. Hailing from Sadiqabad, Ahmed says that he makes as much as Rs30 for mending a piece of garment and makes between Rs500 to Rs800 every day after working for 12 hours. The 60-year-old father of nine from two wives conceded that eking a living from this line of work at his age was difficult, but by the grace of God, he managed. Locals Raja Jehangir, Usman Sheikh and others said that darning was a dying skill in the country and the government should take measures to revive it so that skilled workers could live a respectable life. They added that skilled workers such as Ahmed should be provided with health cards announced by the government and other facilities.